Bet safe and fast with Betsafe! When Betsafe casino first hit the market, in January 2006, quite soon everybody saw that this was a brand that was going to stay. Today, twelve years later, this is one of the largest gaming brands all over the world. They have customers from over a hundred different countries. And the player base is huge, more than 400 000 customers are having a Betsafe account today. So, clearly, this was a brand that our Viking really wanted to try out and see what it is all about. Read what he had to say further down and get your Betsafe bonus today if you want to see for yourself. 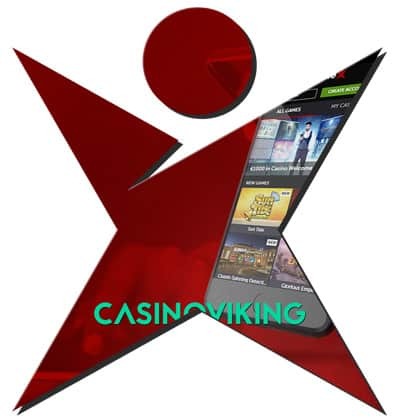 Slots, horse racing, virtual sports – the Viking had a hard time knowing where to start once he entered Betsafe casino. His first thoughts were that it is not strange at all, that this operator is as big as it is. With one of the absolutely best ranges of games and betting, of course, a lot of players come here. At the first visit, a big banner of signing up is showing. Everything on this website runs in darker colours; dark grey, black and a darker red contrast colour. This builds up the mystique of this online casino in a great way. By clicking the banner, a fast sign-up process will start and it was time for the Casino Viking to claim his first bonus. The welcome offer comes with a smaller deposit option along with some bonus spins. As usual, they come with some terms and conditions, why you should make sure to read them before claiming the bonus. What made the Viking a big negative, was the lack of other special offers. Due to the quite small welcome bonus, pretty fast our Viking wanted to try out some other promotions. To his dismay, there weren’t much to claim. For being one of the largest online casinos in the world, this was something that he thought was both sad, and a bit strange. However, instead, he started to look into the games at this site. Even though the Viking was a bit let down on the promotion page, he couldn’t complain one bit about the games. The Sportsbook was the first part he looked into. A big variety of every different sport you can think about. Football, tennis and American football being those, at the time of the Vikings review, with most different games to play at. He tried some bets, and also the live betting feature, which is quite fun while watching a specific game. Even though there are a live casino, poker and much more to gamble at, the Viking then focused on the video slots. He clicked the “Casino” tab in the head menu and came straight into the heart of this brand. Over a thousand different slots from plenty of different game providers. He really liked the number of different games. But, he did lack the possibility to categorize and sort them by different options. By game providers as an example. This resulted in that he had to scroll through all the games to find his favourites. Something a big brand like this probably should do something about. This clearly is one of the big ones in the business right now. And it has been for a long time. However, the lack of many promotion offers and a better game sort function should be here. This brand has been around for over twelve years and has evolved in great ways thoroughout the years. Due to this, the Viking thought that they should have focused on some of the mentioned things above, to make it really great. However, for players wanting the possibility to gamble on everything, this surely is a great site. And, it looks awesome!